Happy Sunday! Hope you all enjoyed your weekend. I shared earlier this week how we’re already planning our summer outings. 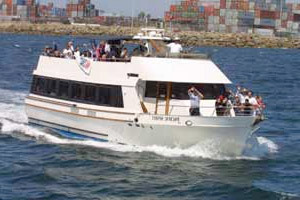 One outing that will be on our list is the Free Port of Long Beach Tours. The Port of Long Beach will be offering one hour and a half harbor tours four times a month. The tours will run from May thru September. You have to make a reservation and the tickets fill up quickly, so please mark your calendars. You can register for June tickets tomorrow morning. There are 2 Saturday morning tours on the 1st and 3rd of the month from 10am to 11:30 am. There are also two sunset tours on the 2nd and 4th Thursdays of the month from 7pm to 8:30pm. 1. Visit this page on the first Monday of the month from 8 a.m. to 8 p.m. for the following month’s tours and click on the link. 2. Fill out the short form and indicate which date you are interested in and how many people you’re registering for (up to 4). Due to high demand, there is a limit of one tour date per registrant. 3. All those who register will be entered in a lottery for the tour date selected. Within 48 hours, registrants will receive an email either confirming a reservation or indicating a position on the wait list. If you do not receive an email, please check your spam folder before e-mailing or phoning. That’s it! It’s a fun tour and perfect for the entire family. For additional information head here. This entry was posted in fun adventure, port of Long Beach and tagged Long Beach, Port of Long Beach, Port of Long Beach Tours. 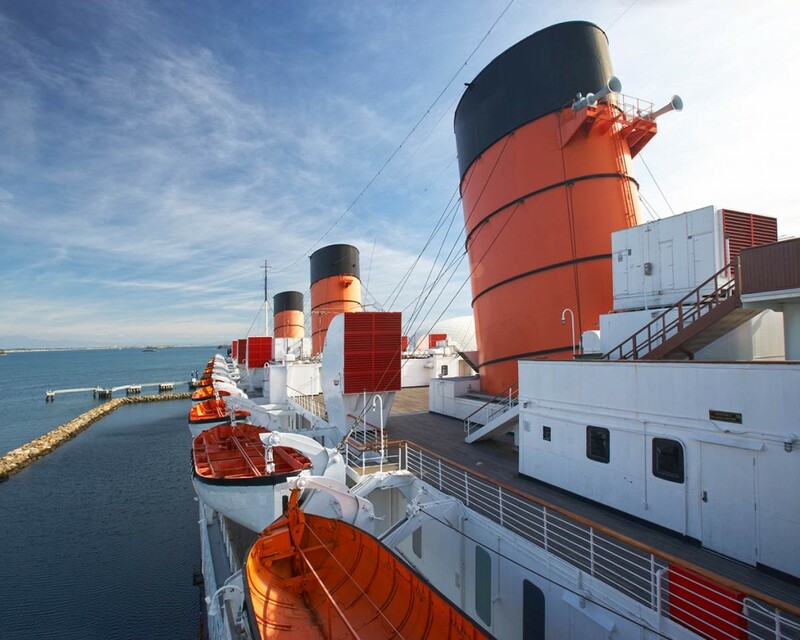 2016 marks the 80th Anniversary of the Queen Mary’s Maiden Voyage and to kick off the celebration, her majesty is offering free entry to the ship on March 24th after 3PM. A big bonus is the ship will offer their famous historical tours for just $5. I will admit it, the ship is spooky, but for this prices this would be great time to check it out. And with daylight savings time in full effect, you can explore the ship in daylight until late! See you there. This entry was posted in fun adventure and tagged Long Beach. 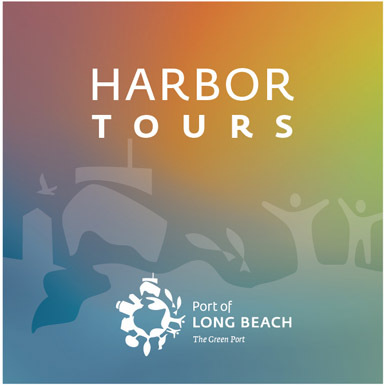 Port of Long Beach Harbor Tours – Free!! I love sharing outing with the family that won’t cost an arm or a leg. When it involves absolutely no money, it makes me want to run and write a post and share about it ASAP. I shared about this a few years ago and then the tours stopped for a couple of year, but now they’re back for another year. The Port of Long Beach will be offering hour and a half harbor tours four times a month. The tours will run from April thru September. You have to make a reservation and the tickets fill up quickly so please mark your calendars. April and May tours are filled up, but you can be added to a waiting list or sign up for June and the following months. There are 2 Saturday morning tours on the 1st and 3rd of the month from 10am to 11:30 am. There are also two sunset tours on the 2nd and 4th Tuesdays of the month from 7pm to 8:30pm. The tours are family friendly and you can even bring your strollers aboard. Complimentary beverages are provided and you are welcome to bring food/snacks for the family. Tickets are only available online. You have to click on the date you wish to go on and refresh that page until the ticket link appears. Tickets are usually gone in 1-2 minutes, so make sure to get there and reserve those tickets! You can reserve up to 4 seats at a time. An email confirmation will be sent to your inbox. If the tour is full, you can join a waiting list and you will be notified the week of the tour if seating becomes available. Tickets for the following month are available on the first Monday of the month before. Tickets are available at noon on the first Monday of the month. To receive your tickets and for additional info head here. This entry was posted in Uncategorized and tagged Free Tour, Long Beach, Port of Long Beach Free Tour.